When choosing a solar power system, most of Specialized Solar Systems residential(domestic) and commercial(businesses) customers choose either an off-grid or grid-connected(tied) solar system to satisfy or supplement their electrical energy requirements. But there’s a third option, a grid-interactive Hybrid solar system. This hybrid solar system type intelligently gives you the best of both worlds. With the added convenience of a grid connected system including the ability to earn Feed-In-Tariff Credits (if your municipality allows) and the added security of a battery backup. This means that you should always have electricity, even during a power outage and bad patches of weather. 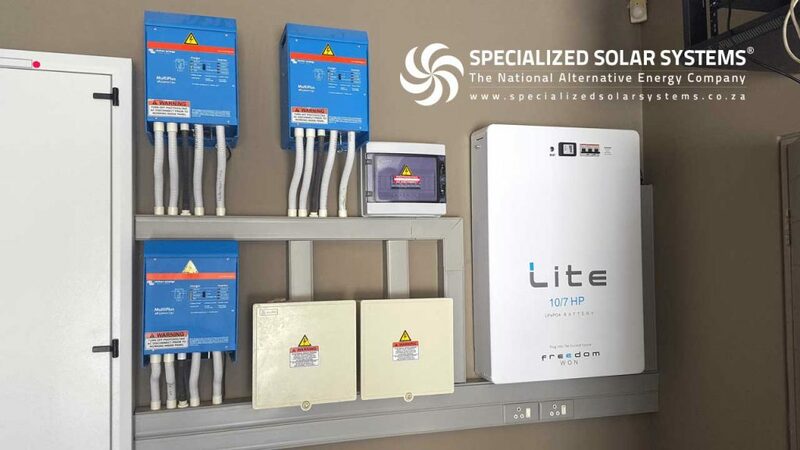 Combining energy storage with a grid connection, these hybrid solar system can provide you with the flexibility of being able to store the energy generated during the day (‘load shift’) instead of feeding it back into the grid at a typically low feed-in tariff. This allows the stored energy be used in the evening, instead of using grid-energy higher price evening tariffs. Hybrid solar systems are very sophisticated. They are fully programmable. At Specialized Solar Systems, our team of well experienced in-house electrical engineers can custom design a hybrid solar system that will provide our customers with a very smart combination of all the energy sources available at your site. Giving you a calculated advantage in reliability, cost and environmental impact for your electricity energy usage. 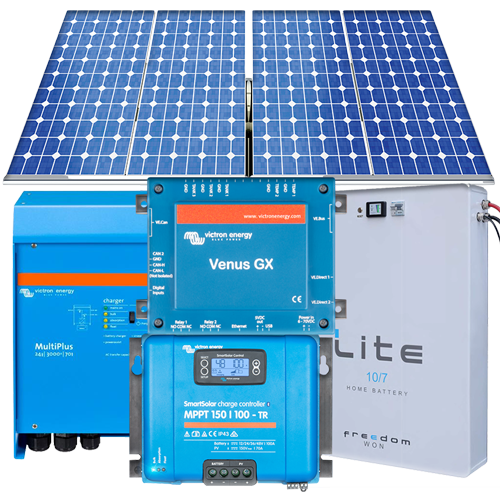 If the power generated by PV solar arrays is inadequate to supply daytime loads as well as charge your batteries, the system can recharge your batteries from the grid when generally a lower off-peak electricity rate is applies. When electricity usage goes above a certain level nationally, the grid supply may charge you at a higher rate for the increased level of demand. Hybrid systems can provide ‘peak lopping’ where some of the stored power can be drawn from the batteries to help balance power usage. 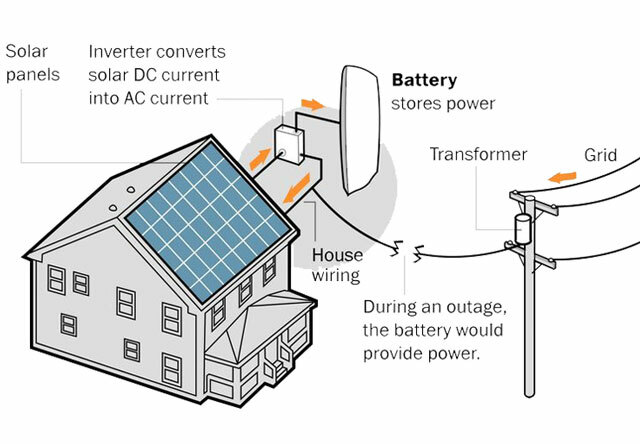 If your grid connection does not have the capacity to supply a required load, a hybrid solar system will supplement any extra power. This may allow you to avoid a costly mains upgrade to your property. Above image: A recent 3.18 kWp Grid-Interactive Hybrid Solar System installed at Pezula Private Estate in Knysna, South Africa by Specialized Solar Systems. This installation included a lithium iron phosphate battery. Hybrid solar systems empower you with energy security, self-sufficiency and lock in your future cost of electricity, control when you use your solar power and provide an uninterrupted power supply. Customers should please contact us for a quote following your Hybrid Solar System selection or if you require expert help with choosing the correct Hybrid Solar System to satisfy your immediate and future home or business solar energy requirements. When making an inquiry, please include the location where you plan to install your Hybrid Solar Energy System. The systems below are a hand-picked collection of popular residential grid-interactive Hybrid Solar Systems by Specialized Solar Systems for our customers. These complete and proven residential grid-interactive Hybrid Solar Systems come with different energy generation and storage sizing options to help our customers make an informed decision prior to purchasing these efficient solar systems.